SMARTest is the first pen style tester on the market. It is designed for the convenience to the network professionals; it is lightweight yet ruggedly designed, so it is perfect for field jobs. 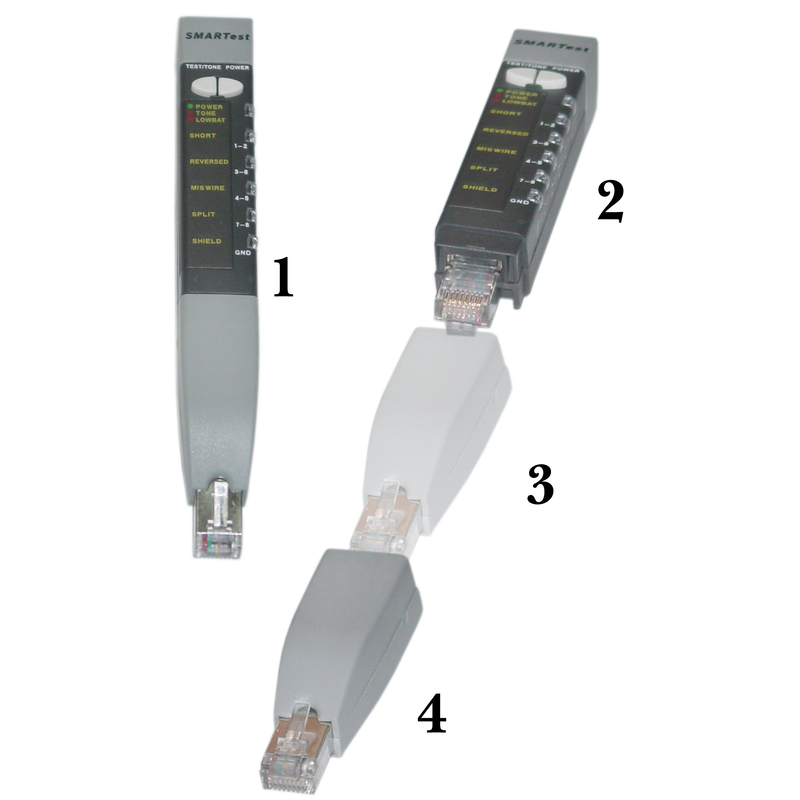 More Product InfoTerminating ethernet cables into a keystone jack or patch panel is a simple enough process. However, you still want to verify that a connection is wired properly prior to actually plugging a cable into it. That is where our SMARTest Tone Pen-style cable tester comes in. Our picture labeled #1 shows the entire pen unit intact. Pictures 2-4 show how the pen separates into a base unit and remote unit for testing cables in different rooms. Simply plug the remote unit into a keystone jack, and plug the base unit into it's corresponding patch panel port. This Toner pen will then tell you if you have any shorts or mis-wired lines. It also acts as a tone generator to help you identify which keystones go to which ports on a patch panel.